Try a Genuine Xerox toner or a Xerox Replacement Cartridge and receive a $15 Gift Card. Try a Genuine Xerox toner or a Xerox Replacement Cartridge and receive a $15 Gift Card. Now through October 31, 2013 or while gift cards last, purchase any two (2) Genuine Xerox toners OR any three (3) Xerox Replacement Cartidges and get a $15 gift card of your choice. Please see link for more details. 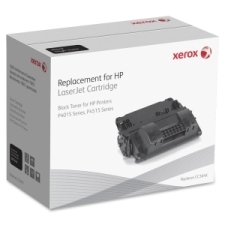 Xerox offers replacement cartridges for HP and Brother, take this opportunity to see if this is the solution you have been looking for.